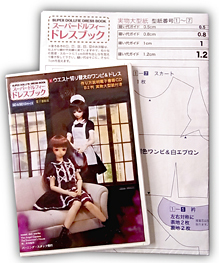 *Please note that this is the renewal version of SUPER DOLLFIE DRESS BOOK 1 released in a digital form. No actual book is included. *Please note that this is a pre-order. CodeNoir will order the book from the publisher after an order has been placed. Your order will be directly shipped from the publisher afterwards.